As you can tell, I’m on an iHerb spree this season. I must have made like three hauls over the past two months and just trying out new stuff. Apart from beauty products, supplements appeal to me too particularly if they’ve got some beauty benefits. 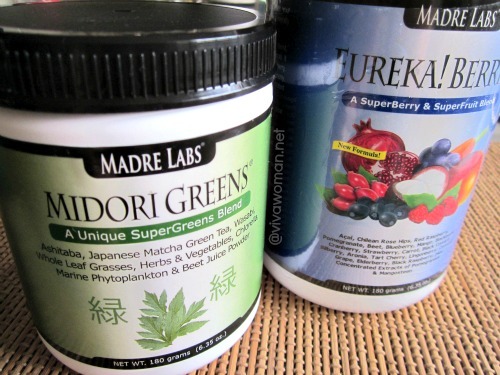 Like these: Midori Greens and Eureka Berries from Madre Labs. 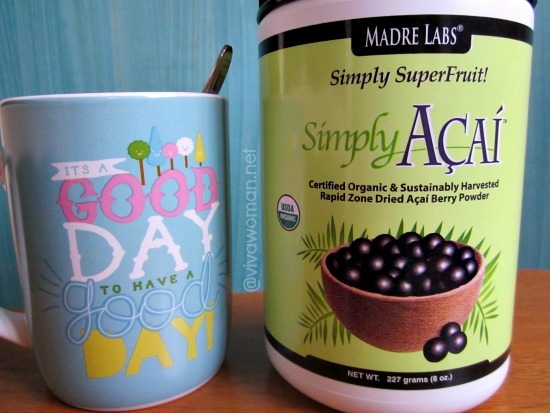 You can say they are health and beauty supplements based on vegetables and fruits. I’d read rave reviews on them and decided to give them a try. 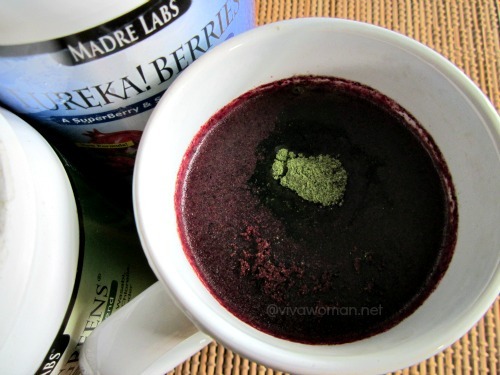 I started with Midori Greens for a month and then moved on to try Eureka Berries. Currently, I’m actually consuming both products together. So which one do I like better? This is Midori Greens and it is described as a groundbreaking premium SuperGreens blend with a core of three traditional Japanese ingredients: Ashitaba, Japanese Matcha Green Tea & Wildcrafted Wasabi. It also contains Field-Grown Whole Grasses, Herbs & Vegetables, Broken Cell Wall Chlorella, Marine Phytoplankton and Beet Juice Powder. According to Madre Labs, each 3 gram serving of Midori Greens contains approximately 15 mg of naturally-occurring caffeine and approximately 6 mg of naturally-occurring L-Theanine. The product is gluten free and also free of the 8 common allergens, namely milk, eggs, fish, shellfish, peanuts, tree nuts, wheat and soy. Midori Greens tastes like green tea. I bought this because a number of reviewers mentioned they felt a renewed surge of energy after taking this product. 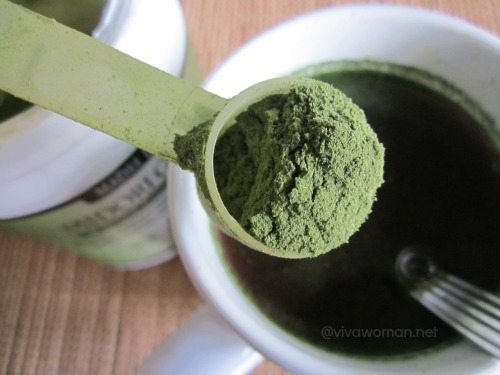 Someone also claimed that she saw a glow to her face after consuming Midori Greens. Personally, I felt nothing after taking this product for about a month but I did like the idea that taking this product sort of helped increase my intake of vegetables since I don’t eat much of them. 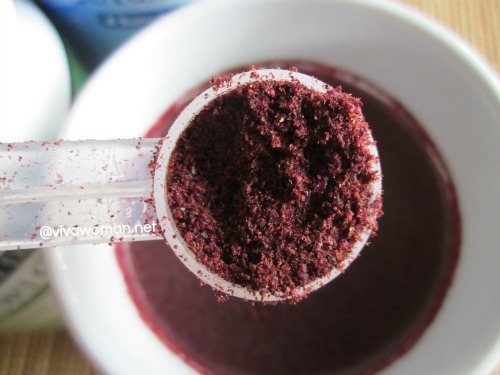 Eureka Berries on the other hand is a concentrated premium SuperBerry & SuperFruit powder blend, containing a full-spectrum of richly-colored Berries & Fruitsâ€“plus Beets and Carrots. It contains a blend of AÃ§aÃ­, Chilean Rose Hips, Red Raspberry, Pomegranate, Blueberry, Mango, Blackberry, Cranberry, Strawberry, Black Currant, Bilberry, Aronia, Tart Cherry, Lingonberry, Concord Grape, Elderberry, Black Raspberry, as well as Concentrated Extracts of Pomegranate & Mangosteen. Like Midori Greens, this product is gluten free and does not contain the 8 common allergens. The taste of Eureka Berries is a little sour but otherwise, rather palatable on the whole. I drink it as it is without mixing into any other beverages although I do mix in a little of Midori Greens sometimes. I like this one better than Midori Greens because I noticed it is good for my digestive system and helps facilitate a smooth bowel movement. That’s definitely important for me as a good digestive system means clear skin for me and I might be able to do away with my probiotics if I wish. 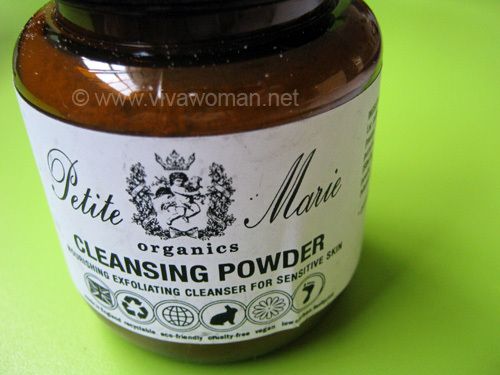 I also think the product has some detox properties as my skin broke out a little when I got started on it initially but it was rather mild. I’ll definitely like to continue with this blend going forward. As mentioned, both products are from Madre Labs, which is a US-based company that has been around for many years but only formally established in 2008. The founding team members have over 40 years of combined experience in the natural products industry and and are well versed in natural foods, herbs and nutraceuticals that can help support optimal well-being. The price point for Midori Green is higher than Eureka Berries but both are actually of the same weight. However, in terms of packaging, Eureka Berries looks “taller” and I have no idea what’s the purpose of the additional height. In terms of taste, I have no problems with either but I guess most people will probably prefer the berry taste of Eureka Berries. However, Eureka Berries doesn’t dissolve too well and comes across as “gritty” but definitely drinkable. 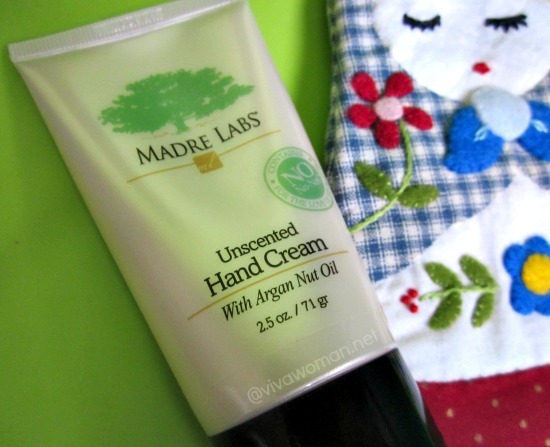 Still, I think I’ll probably be re-ordering this product again because I find that it benefits me and I like it. joining an iherb spree so i might include the Eureka Berries. I still have about 8-12 oz of green powder left. Ya, this should combine well with smoothies. Hope you’ll like the Eureka Berries if you try it. I think the surge of energy for Midori Greens probably comes from the caffeine. Ya, sounds like it. But it did nothing for me. Haha…I’m immune to caffeine. Hi, may i know if you could use debit card to purchase instead or credit card? Because every time i tried, iHerb never fail to ask me to add my credit card numbers instead of debit card, so i am confused but i wanted to purchase the items badly. Will you please kindly tell me what should i do to purchase using debit card instead? I’ve tried using both and they’re both okay. But I prefer to use credit card. Hi Anna, I always use DBS debit card so far. BUT recently (like 1 week before?) till today, I have some problem on placing the order also. The system rejects my debit card details. I have called DBS and they said no prob with my card. I tried another credit card, same problem exists. I contacted iHerb, of course they insist that it is our bank problem, but I also insisted that I have confirmed with both bank and they said my cards are in OK condition. Now they are still resolving their payment system. I believe it is their back-end infrastructure problem (I have programming background). Err…I didn’t notice. Haha..But now I prefer the vitamin C and I’ve reordered that. So likely to just drink that one. I am using Madre C and Eureka Berries now. Probably will just stick to Madre C going forward cos I really like it.